Well, it was another successful Thanksgiving! Made all the more lovely by a use of a real, adult sized kitchen! As much as I would have loved to make the meal in my “easy-bake kitchen”, it just really wasn’t going to cut it. We may have only had 5 people at our table, but we still cooked for about 20. Literally. We had two full dinners and I’m still eating leftovers! This year, I got my family to agree to my experimentation in the kitchen so I brought a little bit of the Hotplate Confidential way to the meal. The stuffing was an adaptation of a couple of different recipes and there were of course the requisite Brussels Sprouts, as highlighted many times here. But the real star was the turkey, and I have to say, my improvised rub must have had something to do with that! Now that you’ve all eaten turkey until you’re blue, I’m sure you’re looking for a few uses for those leftovers. My favorite is just a sliced turkey and cranberry sauce sandwich, and with the tart cranberry sauce we made this year, it’s something I won’t wait until next Thanksgiving to make again. There’s always the turkey soup solution, but if you have leftover vegetables like string beans and carrots, why not turn it into a turkey pot pie? Or, an even better use of leftovers, a turkey shepherd’s pie? It’s a great way to use up those mashed potatoes. Whatever you do, don’t let those leftovers go to waste. 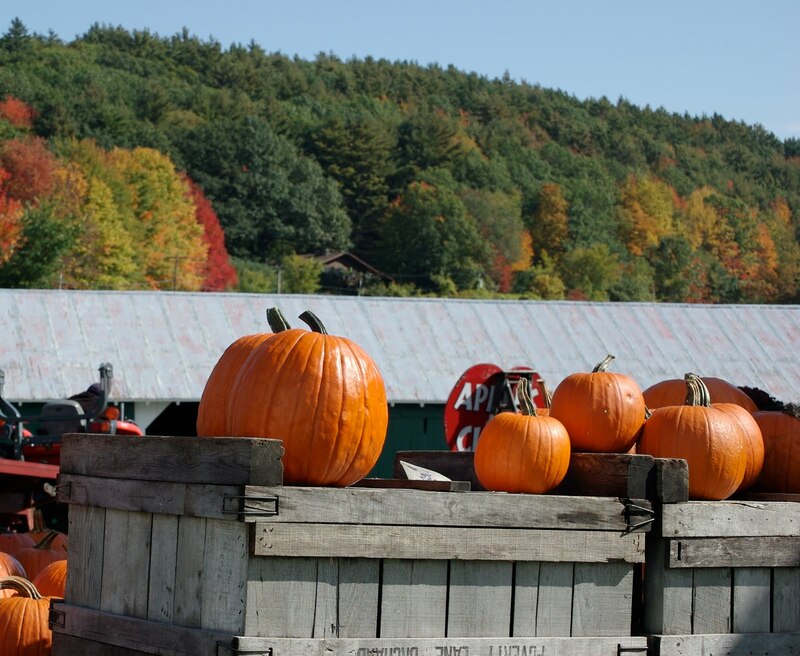 They only come once a year, and I for one don’t want to be left yearning for a missed opportunity to have another slice of pumpkin pie. Roughly pull apart the bread into 1 inch pieces and add to a large bowl. In a sauté pan, heat the butter and add the onions and celery. Cook for about 3 minutes and add the fennel. Cook until tender. Add the herbs, salt & pepper and cook for another 5 minutes. Add the vegetables to the bread and mix. Add the chicken stock to combine. Add the hot water if it is still too dry. Stuff in a 12 lb turkey to cook, or in a separate casserole. Combine sugar and water in a medium saucepan. Bring to boil; add cranberries, return to boil. Once the cranberries start popping, reduce heat, add the dried cranberries, zest, and orange juice and boil gently for 10 minutes, stirring occasionally. Cover and cool completely at room temperature. Refrigerate until serving time. It’s here! 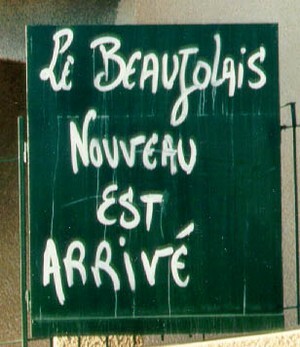 The first wines of the season are opened today, starting with the Beaujolais Nouveau. What? You’ve never heard of Beaujolais Nouveau? Thought it was just a cheap, crummy wine? Not so my friends, this annual tasting is a barometer of how the rest of the year will turn out for winemakers. According to the Georges Duboeuf website, "By French Law, Beaujolais Nouveau is always released on the third Thursday of November all over the world” and this year it arrived from France at 12:01 am. Even more importantly though, "The 2009 harvest in Beaujolais is being called the best vintage in 50 years thanks to perfect weather and growing conditions." This is a good sign for your favorite vintners, and although I haven’t been able to taste it myself just yet, it has to be better than last year’s which honestly, tasted like bananas. When I was a student in Paris, I participated in my first official Beaujolais Day and have been celebrating it ever since! There, we were able to drink a bottle of Beaujolais with friends at lunch and then go back to class – tough, I know. The French revel in the day, and I’ve encouraged my friends to as well. Unfortunately, getting sick derailed my plans for my own Beaujolais Day party, but don’t worry, I’m sure we’ll have another opportunity to taste this year’s batch. So don’t stick up your nose at this affordable, young wine. Beaujolais is now linked with Thanksgiving and it would be a perfect treat to bring to your host – start conversation, guess what this year’s wine will be like, and enjoy the holiday! Being sick is the worst. All you can do is sit on the couch or lay in bed. So that’s what I’ve been doing for the past two days. I wish I could say I was doing something constructive with this “time off” but all I’ve been able to manage is sleeping, watching bad television, and eating chicken soup (thanks Sam!) But when I’m back up and running, I’m going to make something warm and homey, just like this dish. It’s another one of my go-tos, especially since it’s made with my simple pasta sauce that I save for just these times. Prepare the simple pasta sauce or start with your own. Cook the spaghetti. Add artichokes and stir. Add the spinach and cook for another 3 minutes until it is cooked down. Add the spaghetti to the sauce and combine. Add the mozzarella. Serve with grated parmesan and ground pepper to taste. Another week, another birthday in the office! This time it was for a coworker who is a trained nutritionist, but who happens to love cookies! So I went for two types that aren’t necessarily “healthy” but at least sort of sound like they could be. The Nutella and peanut butter ones (which I have renamed Chocolate Crack Cookies because no one could stop eating them) are gluten free and could be vegan if you substituted out the egg. The shortbread cookies were my personal favorite though. From the delightful Heidi at 101 Cookbooks, this recipe is moist and delicious, made a little more hearty and rustic by the addition of shredded carrots, apples, and grated lemon zest. My version ended up tasting mostly like lemon zest, which I didn’t mind one bit. I’ll be playing around with this recipe for the holidays, maybe even adjusting the shortbread so that it is equally as delicious dipped in chocolate. Oh and the best part about these two cookie recipes? They both produce doughs that are easy to work with in a 30 sq. ft “kitchen”! Mix all the ingredients together until just combined. Roll the dough into ¼ inch thick balls (you can vary the size). Place balls one inch apart on a cookie sheet. Bake for exactly 8 minutes. Let cool on the parchment for one minute and then transfer to a wire rack. Combine the flours, baking powder and salt in a medium bowl, and set aside. In a large mixing bowl, cream the butter and sugar together until light and fluffy. Stir the carrot, apple, and lemon zest into the flour mixture, and mix until well coated and evenly dispersed. Stir the flour mixture into the butter mixture until a dough forms, then knead a couple times to bring everything together. Split the dough in two, flatten each piece into an inch-thick patty, wrap in plastic, and refrigerate for at least thirty minutes. I love Fall! Even if it hasn't felt like it very much this past week, the leaves are still falling, the wind is picking up, and at night, you can feel that crispness that says winter is right around the corner. What can I say - I'm a skier, the first sign of snow and I'm giddy! But for now, I'm going to keep using the gorgeous autumn vegetables that are all over right now - and perhaps start practicing for Thanksgiving? One of the challenges of this meal was how to cook the sweet potatoes. My toaster oven was otherwise occupied for roughly 1 1/2 hours and boiling them would just take too long. So I turned to our trusty microwave, an appliance that doesn't get enough love from aspiring home chefs. Rightly so, there's no substitute for a nice slow roast, but I've found that the microwave can really be your friend in a tiny kitchen. I "steamed" the potatoes in there for 8 minutes total and voila! the perfect consistency for sweet potato puree. With the Brussels sprouts on at the end, this meal was easy and a delicious treat - one that I suggest you make tonight! Serve with the juices and vegetables over the top. Microwave the potatoes on high for 5 minutes. Check and poke with fork to let some of the steam out. Microwave on high for another 3 minutes. Take out and cut into 2 inch chunks. Add to a bowl with the butter, chicken stock, and salt and pepper to taste. Using a hand mixer, blend until smooth. Check the seasoning and adjust accordingly. The Brussels sprouts I did the way I have done them before for this blog - sauted and lightly steamed in chicken stock! So I just had to immediately post about the success of the arroz and veggie burrito! An amazing way to use leftovers, if I do say so myself. I chose to add black beans, extra sharp cheddar, and sautéd spinach, but really, the more the merrier. All I can say is, next time I make Arroz con Pollo, I will make sure to make the extra rice and vegetables just to have leftovers for this dish! Oh, and Sam loved it too! Tonight’s post is a meal that was a favorite standby at my childhood dinner table. It’s one of the first meals that I really remember watching dad make, and taking in what he was doing. I remember watching when he measured, how he improvised, what he prepared in advance to make the process go smoothly. I also have distinct memories of stirring batters for cookies and cakes with my mom, and watching holiday dinners being made, but my first real cooking experience started with this easy chicken and rice dish. It is comfort food at it’s best and it’s a dish Sam and I still love to make. It’s quick enough for a weeknight meal, but also feels right at home on a chilly Sunday night. Best of all, this recipe leaves lots of leftover rice and veggies that I am going to try to turn into a tasty version of a burrito tomorrow. I’ll let you know how it goes! Salt and pepper the chicken. Heat the oil in a heavy sauté pan. Add the chicken skin side down and cook for about 4 minutes until golden. Turn and cook until browned on the underside, about 3 minutes. Scatter the onion, garlic, peppers, and saffron over the chicken. Stir the chicken so that the vegetables fall in between. Continue cooking for about 3 minutes. Add the tomato and wine and stir. Add the rice and stir to distribute evenly. Add the bay leaf and pour the broth over it all. Let simmer for 20-25 minutes or until chicken is done. Sprinkle with peas and cook for another 3 minutes. Serve once peas are completely cooked.